After a long day at work, we all fancy going home to relax. We often carry out all the necessary refurbishing to make our homes ideal for relaxation. From the landscaping to the interior, an attractive design always adds to the relaxing ambience in and around the house. Having the correct paint on your walls, the right flooring, the perfect furniture and the best fittings turn a house into a home. No matter the size of your living space, you can still enjoy a serene environment in your home. Every home is unique therefore all your fixtures must be unique to your living space. On the other hand, there are installations that are standard and certain to maintain a peaceful environment in your home. The environment around your home greatly influences your living experience. Different living spaces come with their own unique problems. Standalone marionettes with expansive spaces often feel lonely, especially if you are few in the house. Houses in community estates feel warmer, but if you like keeping to yourself, you might not enjoy the neighbours. Most apartments, on the other hand, lack the privacy you might desire. Sharing an elevator and an entrance may not sit well with everyone. Although the shortcomings are numerous, pollution is common to all homes. From noise pollution to air pollution, no one likes an interference with their living experience. Keeping pollution out of your home is simple. You just need the right fittings. Window roller shutters are a worthwhile investment in any home. These shutters allow you to control the environment in the house. During the summer, the shutters keep your living space cool. They keep out the harsh sunlight and cast cool shadows in your rooms. Moreover, window shutters keep the dust away from your windows and your house. They prevent irritating dust particles from polluting the air in your house. With domestic window shutters, you can continue enjoying good air circulation. If you have asthma or any other respiratory problem, dust irritants can exacerbate your condition. Window shutters prevent the air pollution and promote good health. You can install a ventilation system to keep fresh air circulating in your home. Dust particles find their way into living spaces through an open window or door. More often than not, furniture and carpets harbour dust and make it difficult to enjoy an environment with fresh air. A ventilation system cleans the air and circulates fresh air in a living space. To supplement your ventilation system, keep your doors and windows closed on windy days. Only open them when it’s necessary. This is an inexpensive way to keep the air in your home fresh. On calm days, open the windows to prevent the house from getting stuffy. Moreover, you can dust your furniture regularly and clean your carpet. Empty closets, vacuum and change your beddings regularly. These trivial chores go a long way in keeping pollution out of your home. Noise can ruin the peaceful environment you often enjoy at home. In residential areas, noise comes from the most peculiar of places. Neighbours are the most common culprits. Some neighbours cannot keep the noise down. They either have loud music or loud conversations. Unfortunately, the night is not silent either. Just when the neighbours tone down and catch some sleep, that’s when their dog decides to break the silence. If it’s not the neighbours or their dog, it’s some construction work in the neighbourhood or a big party. To save yourself the headache, there are a few things you can try out to keep the noise out of your house. For a quieter house, block the noise coming in from outside. Research shows that covering your floor with carpet tiles greatly reduces the noise levels in your house. A thick rug can dampen the noise from your downstairs neighbour. If you have thin windows you can use heavy drapes to reduce the noise coming in. In an enclosed area, the sound is absorbed by materials within the space. Furnishing your house reduces the noise pollution in the rooms. You can place your furniture adjacent to walls to make the sound absorption even more effective. Stock up your bookshelf and cabinets with books, clothes, towels and linen. These are all natural sound insulators. Windows take a huge part of the entire wall surface area in a house. Unlike walls, windows are thin and allow sound into rooms. Any noise from outside easily seeps into your living space. 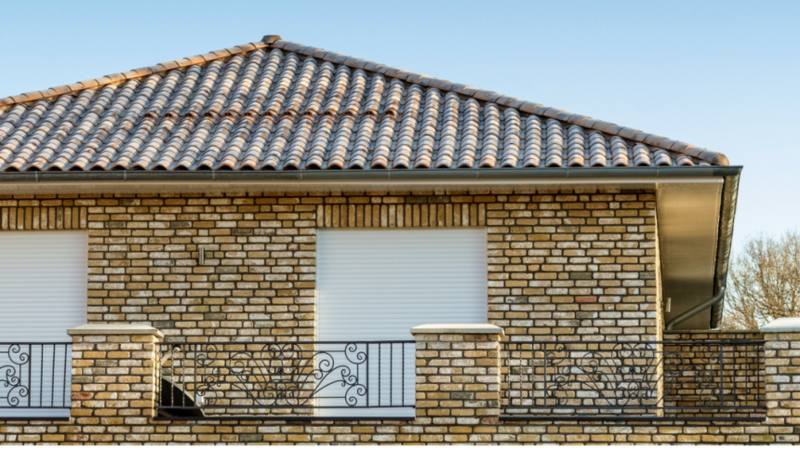 Window shutters are effective in keeping noise outside. They are made to fit and don’t have gaps to leak sound. The material used to make window shutters is often an insulator to sound. Consequently, shutters are effective in sound reduction. When you combine all the sound reduction strategies, you are guaranteed a silent, relaxing environment. Invest in your home and make the best environment for you to live in. We spend more than eight hours a day in the house either sleeping or relaxing. It’s only prudent to have a serene environment around you. Your home is what you make it to be.